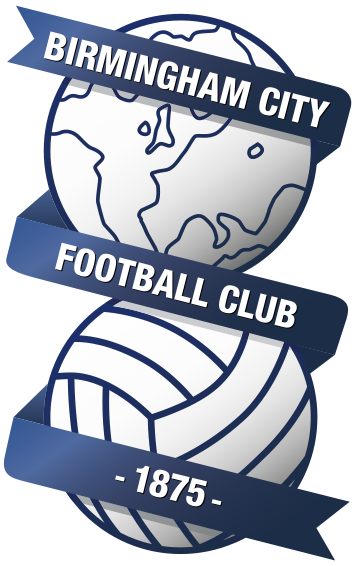 Blues play their second game in four days when they host feeder team* Brentford tonight. After the 0-0 draw with Aston Villa on Sunday Blues welcome a Brentford side that are finding themselves after a shaky start to the season. Blues were the better side for large parts of the derby game against Villa but couldn’t find the break through against a stubborn Steve Bruce side. Brentford meanwhile are unbeaten in six and have scored 13 goals in 7 games. A win away to Bolton was followed by draws against Derby and Middlesboro’. A home win over Millwall was followed by a 3-3 draw with Sunderland and a 3-2 win over Preston at the weekend. Defending is a slight issue for former Walsall manager Dean Smith’s side. But scoring is certainly not a problem and that is something Blues will have to deal with. Blues have scored 2 goals in four games and conceded eight including the 6-1 drubbing away to Hull City. Under Steve Cotterill the team has looked more organised and set up well so it could be a tighter game than the stats suggest. Former Brentford players Jota, Maxime Colin and Harlee Dean could start for Blues against their former club but Isaac Vassell likely out for the rest of the season with a knee injury picked up in the Villa game. With the injury of Isaac Vassell on Sunday, at least one change will be forced on Cotterill. Sam Gallagher came on for Vassell at the weekend, however both he and Che Adams seemed to suffer from playing out of position. It’s possible that Jutkiewicz will come in to offer more of an aerial threat along with hold up play. Another possible change is David Davis, who has been out of form this season. Whilst he had one of his better games on Sunday, resting him with their being such a short time after the weekend’s match is possible. For the visit of Brentford I asked Bees fan and writer for Beesotted, Ian Westbrook, for his thoughts. Brentford’s season has been a case of what might have been so far. The side has played well in almost every game but has too often failed to hold on to winning positions. Along with Fulham we have the highest number of draws in the division – seven – and we have thrown away more points from winning positions than anyone else – 14. However, we have only lost four games, the same number as leaders Sheffield United, and are unbeaten in our last seven league games. If Wednesday’s game follows the pattern of the season then we will dominate on possession – it’s what we do with it that counts, although we have scored eight goals in our past three away games. I think the fact we will be facing Jota, Maxime Colin and Harlee Dean so soon after their transfer will provoke more of a reaction from the away end than from their former team-mates. Harlee’s comments in the week that the current Blues team are 10 times better than the Bees team that reached the play-offs in 2015 did not go down too well. Signed by Harry Redknapp in the summer for a fee believed to be £6.5 million. Former Celta Vigo man José Ignacio Peleteiro Ramalloxt to give him his full name signed for Brentford in 2014 and made 69 appearances scoring 23 goals. He had loans spells with Eibar and Real Madrids b team. Donaldson was sold to league leaders Sheffield Utd in the summer after making over 110 appearances for Blues. Hard working and willing to work the channels the Jamaican international has scored over 40 goals for three of the teams he has played for and would have no doubt scored more for Blues if he hadn’t been sold by sacked manager Harry Redknapp. Forster played over 100 games for Brentford before joining Blues where he struggled to find his scoring form. After being sold to Reading he found them and scored 59 goals in 186 appearances at the Madjeski stadium. He also managed Brentford for 21 games winning 9. The first meeting between the two teams was back in 1935 in front of 28,000 fans. Blues ran out winners that day with goals from Lewis Stoker and Blues top scorer for the season Charlie Wilson Jones. Jones scored 20 goals in all competitions that season. The last meeting between the two sides was earlier this year in the league. Brentford with current Blues players Maxime Colin and Harlee Dean in the side ran out 3-1 winners. Kavanagh has been in charge of 7 games this season and given out 19 yellows and just one red card. His last game involving Blues was the 3-1 defeat at home to Leeds in March.